you have any questions please email to the address above. 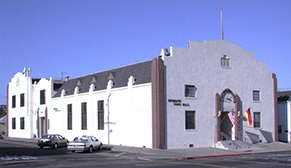 The Petaluma Lodge #26 has an email address that is used to announce our monthly meetings, annual events (example: Oktoberfest, New Years Party) and other information pertaining to the lodge or order as applicable. We are in the process of gathering email addresses from our members as well as other lodge members and the public. If you would like to receive communication via email please provide the following information to our email address and we will add you to our contact lists. This invitation is open to all Hermann Sons Lodge members in the Order.